Etisalat Network decided to bring back the 3hours unlimited surf after stopping it from working in the past few months. The very good news is that the data is fully back and can be used to browse, download and stream videos unlimitedly, just for 3 hours having that you subscribed for it using only #15 naira. So, are you a football lover that likes watching live matches like premier league, laliga etc online or you do watch movies online via youtube and same time you a heavy file downloader, then this particular data is the best for you. Even as everything is going smoothly, some people still find it hard to connect their latest free Etisalat bis Browsing. 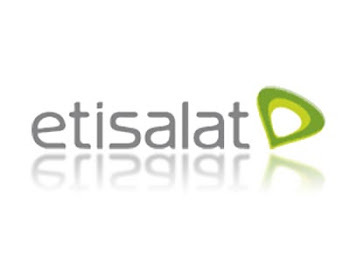 If you are among such, then here comes an alternative to that as Etisalat unlimited is loaded and works very sharp for anything you can do online within 3 hours. Let's get down to very trend on point now, as it requires no tweak nor any VPN server. READ ALSO: How To Activate The Newly Introduced Airtel 1.5GB Data Plan On Mobile Phones For Your Internet Browsing. ◾ Make sure you have at least #16 naira on your etisalat sim, then to activate the plan just dial this code *200# using your phone, and a pop-up should display showing where you can reply, now reply with 6 followed by 1 to Migrate to easy starter. When you must have exhausted the 3 hours and want to activate the data again, then you have to opt out and opt in again for that activate. Now, to opt out, dial this code *227* 0# on your phone. To opt in for the plan dial this again *229* 3*7#. Remember, you will be charged #15 naira for activating again. Keep doing the above if you wanna continue with the subscription. Always remember to share, someone out there is desperately in need of this.